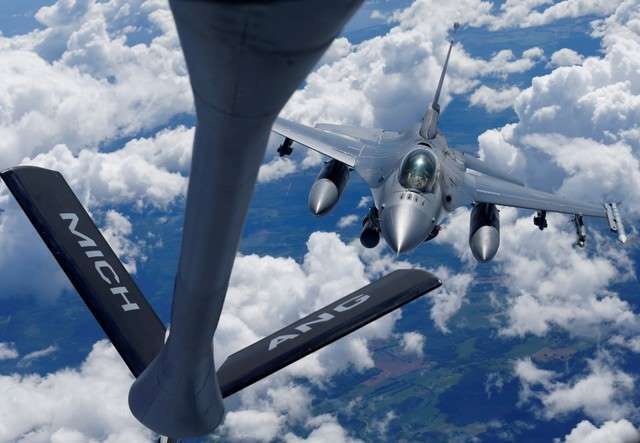 To the pomp of brass bands and a fly-past of fighter jets, the NATO alliance holds a two-day summit from Wednesday looking stronger militarily than at any time since the Cold War and with plans to expand further to curb Russian power. But though NATO has much to be triumphalist about as it stages its first biennial summit at its new billion dollar headquarters in Brussels, many summit leaders paradoxically appear anxious as they face the alliance's de-facto leader, Donald Trump, who brings with him tough talk on defense spending. Accusations that Russia is trying to destabilize the West with cyber attacks and covert action have laid the ground for the North Atlantic Treaty Organisation's biggest expansion for decades, backed by a surge in U.S. defense spending in Europe. [post_ads]The meeting brings together more than 40 heads of government including the 29 allies and non-member partners from Finland to Afghanistan, underlining the organization's reach. But Trump's comments about many allied governments not paying their way in the alliance in exchange for the U.S. umbrella has thrown many summit leaders on the back foot. "NATO has not treated us fairly ... We pay far too much and they pay far too little," Trump said as he left the White House on Tuesday for his trip to Europe, which will also take him to Britain and Finland, where he will meet Russia's Vladimir Putin. Carefully-choreographed sessions and the leaders' dinner in a Brussels museum on Wednesday night are unlikely to mollify Trump, NATO diplomats say, as they found out to their dismay in May last year at a special dinner to welcome the president. Back then, Trump spoke his mind, ignoring decorum and warning NATO allies that they owed "massive sums" and had to do more to stop terrorism. But unlike his recent tweets in which he berated allies, Trump struck a more affable tone in person before taking his flight: "We will work it out and all countries will be happy." "Allies can take a little criticism if it comes with a recommitment to the U.S. security guarantee, but if Trump threatens to withdraw from NATO, then that could be very difficult," said a NATO diplomat involved in the preparations. Founded in 1949 to deter the Soviet threat, NATO is based on deep cooperation with the United States, which provides for Europe's security with its nuclear and conventional arsenals. 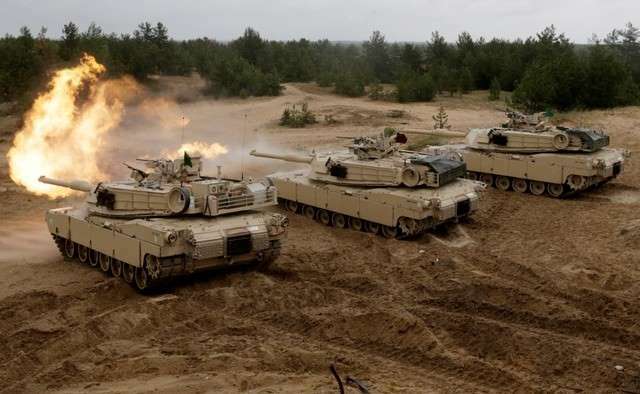 NATO has found renewed purpose since Russia's annexation of Ukraine's Crimea in 2014, sending battalions to the Baltics and Poland to deter any potential Russian incursions. "Russia's image does not only depend on organizing the football world championship," European Council President Donald Tusk, a former Polish prime minister, said of Moscow's highly-regarded organization of the soccer World Cup. "No one should forget the essence of politics and the international relationship (with Russia)," said Tusk, who is expected to attend the NATO dinner. But the U.S. president, who as the commander-in-chief of the world's biggest military power leads the alliance, has also indicated he has other issues he wants to discuss, including non-NATO business such as trade relations with Europe. He has already imposed tariffs on EU steel and aluminum exports and is threatening to do so on cars. "We lose $151 Billion on Trade with the European Union. Charge us big Tariffs (& Barriers)!!" Trump tweeted, referring to the U.S. trade deficit with the EU, although both the bloc and U.S. government say the figure is lower when including services such as finance, where the United States has a surplus. Trump's position remains unclear. "He can nullify everything with a tweet," another NATO diplomat said.